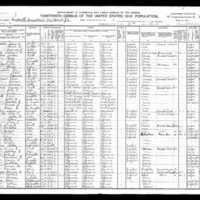 1920 Federal Census Record of James Lewis, son of William Lewis, providing information on his established residency in Washington D.C., his immediate family members, and his profession change from a blacksmith to a chauffeur. 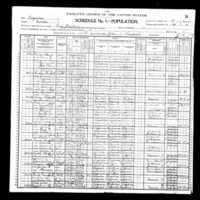 1910 Federal Census of Henry R. Lewis son of William Lewis. 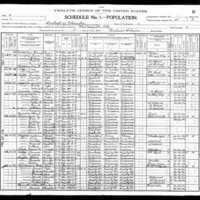 The census provides information on his immediate family, his address, who was in his household, his proof of literacy, and his continued occupation as a farmer. 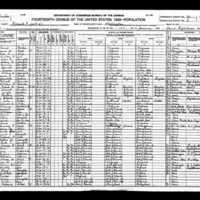 1900 Federal Census of Henry R. Lewis son of William Lewis. The census provides information on his immediate family, who was in his household, his proof of literacy, and his occupation as a farmer. 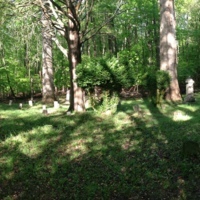 Panoramic view of the Davis/Lewis Family Cemetery. Fairfax Country Birth Registry providing information about the birth of William Lewis' children Isabella and James. Fairfax County Marriage Registry showing the proof of Cordelia and Henry Lewis marriage, and also the date on which they got married. 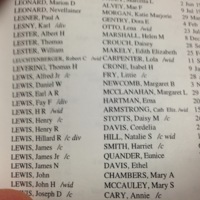 Cordelia Davis' is the daughter-in-law to William Lewis and Jane Davis Lewis. 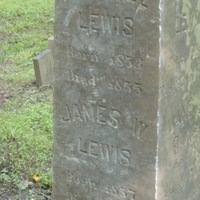 She married one of their son Henry R. Lewis. She was born on April 3rd, 1874 and died on October 2nd, 1923. 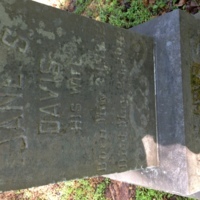 Jane S. Davis Lewis was the wife of William Lewis, and the other head of the household. 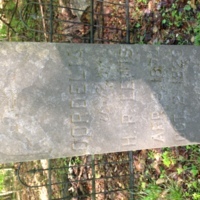 The headstone says that she was born on May 23, 1832 and lived until May 23 1912 making her 80 years old when she died, and far out living her husband.